The issue in personal and family providers may affect the quality of services and attitude of patients. There is evidence egarding anxiety and uncertainty, which creates many issues. Because of many financial issues, patients are not competent to follow the order of doctor in terms of making the treatment significant. There are a large number of issues that cause high employee’s turnover for the managers who perform in manage operational plan departments. The patients may stress the medical issues related to the emotional experience of patients. There are certain works that assess all possible links about satisfaction and anxiety (Mosadeghrad, 2014). The investigation key goal is to address the factors affecting the satisfaction of those customers who are looking for medical action. The research of this study will have created the interpersonal links with those factors that provide quality healthcare to customers. 3. To evaluate the relationship between service quality and customer satisfaction. 4. To determine the effects of moderating the variables on customer satisfaction. Under this investigation, the quantitative study will be used for accomplishing this goal because, this technique will aid to deliver the numeric information. Furthermore, the subjective questionnaire would be included in order to assess the response of participants. This kind of questionnaire will be used for generating the numeric figures regarding factors influencing customer satisfaction in health care services. Along with this, the standard test market approach will be used as it will aid in assuming the behavior of the larger market and assessing the responses of 100 participants. Instead of using controlled and stimulated test market, it does not control the experience of the customer. This research will focus on the better real-life applicability of the outcomes (Kondasani, and Panda, 2015). Furthermore, the investigation will be conducted on a patient that will be sourced from different Australian hospitals. In addition, a sample size of this investigation will be 100 i.e. larger sample sizes as it would help with choosing different age-group of the individual in the investigation. 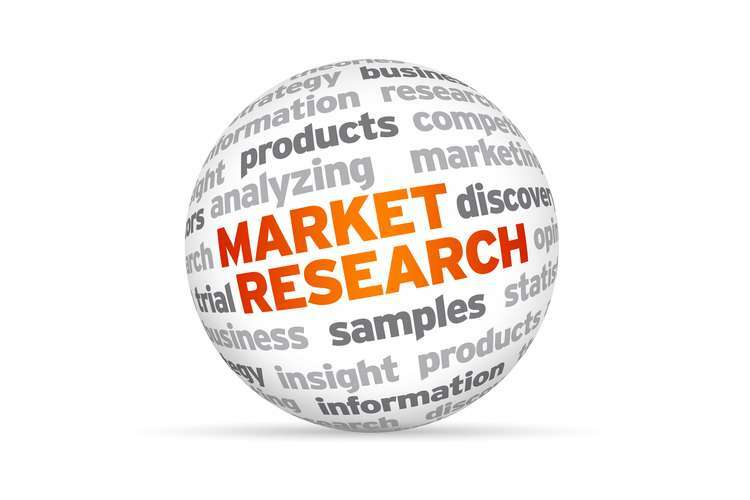 In this research, quantitative research will be used for conducting the research. Furthermore, test market study and survey questionnaire will be used for assessing the factors influencing customer satisfaction in health care services. The key aim of framing the questionnaire is to accomplish the objectives of the existing investigation. In the standard test market approach and survey through a questionnaire, an investigator will evaluate the factors that provide the customer satisfaction in health care services. The responses of participants would be recorded after the conducting the survey (de Oña, et. al., 2016). Both data gathering technique would be included in this investigation as these tools will be competent for the investigator to fill the gap amid required information and needs of authentic data. In this investigation, a non-probability sampling technique will be used for choosing the sample from large number of population in an unsystematic manner. Under this technique, convenience sampling technique will be practiced by an investigator to choose the sample size from larger population size as per the convenience. This sampling technique would be effective to capture the reliable result from the participants. In this investigation, 100 patients or their family member would be selected as a sample size who takes physiotherapy services from rural hospital of QLD in order to gather the information about factors affecting the customer satisfaction in health care services (Almajali, Masa'deh, and Tarhini, 2016). A large number of respondents have realistic expectation from this site. The high amount of respondents will be selected from patients of an Australian hospital. The close-ended format of the survey through questionnaire is generated according to condition because no participants have free time for spending a high amount of time on the survey. An investigator will emphasize on the exclusion and inclusion criteria such as patients and their members will come in the category of inclusion and rest of patients will come in exclusion category (Sahoo, and Ghosh, 2016). This investigation will create the knowledge about the link between medical services of hospital and customer satisfaction. It will also provide the opportunity regarding the correlation between business financial concerns and customer satisfaction. This research will assess the relationship between service quality and customer satisfaction. It will also focus on the effects of moderating the variables on the satisfaction of customers (Kitapci, Akdogan, and Dortyol, 2014). In this research, there are different data collection method would be practiced in order to acquire the depth information about the research issue. In such a manner, community centres will be selected for conducting the survey on patient of rural hospital of QLD in which researcher will use close-ended questionnaire with multiple choice questions. In this investigation, respondents would be approached via social media. Moreover, secondary data would be sourced through textbooks, journal articles, academic publications, newspapers, and online websites. In the questionnaire, demographic data will incorporate the age, income, gender of the patient and other prospective confounding information would be associated with the objectives of investigations (Aliman, and Mohamad, 2016). There are certain variables like IV and DV in this investigation. In such manner, independent variable would be different factors such as the medical services of the hospital, business financial issues, service quality, and effects of moderating the variables, and the dependent variable is customer satisfaction. An investigator will emphasize on confidentiality and privacy of participants for conducting an ethical investigation. They will also protect the stored information via using a password in the computer (Zailani, et. al., 2016). In this research study, there are several risks that can affect the outcome such as false outcome, loss of assets, high expenditure, and maximum time, and loss of privacy of individuals. It delivers several benefits in the way of obtaining the information about factor influencing customer satisfaction in health care services (Kitapci, Akdogan, and Dortyol, 2014). In this research study, research scholar will analyze the gathered data logically through charts, graphs, and tables. Furthermore, numerical and frequency evaluation would be performed by utilizing standard deviation, mean, mode and median to assess the quantitative information. This approach would be profitable for evaluating the primary data. Furthermore, Ms-excel software will be used to present the information through bar chart, pie chart and column diagram. Along with this, content analysis facilitates to analyze the qualitative data. In this current research, it is observed that quantitative information supports to assess the statistical method (Zailani, et. al., 2016). In this research study, research scholar would practice IT tools and techniques like password system to assure the quality and enhance the monitoring and safety system. These techniques offer security to the employees and would be profitable for protecting the information. Research scholar will describe research issues to the research participants and also promises them that personal information of individuals will not be shared with anybody (Sahoo, and Ghosh, 2016). A research scholar would utilize the privacy act for maintaining the secrecy of research candidates throughout the accomplishment of the research study. For providing credit to the author, the investigator would use the in-text citation in every paragraph of the investigation. It would assist to obtain the accurate and consistent outcome. In order to properly complete the research study, research scholar will also utilize their own words in the writing of research (Almajali, Masa'deh, and Tarhini, 2016). The research scholar would publicize the findings and outcome of a research study in Medical association, QLD health and rural community. It will be profitable for delivering the information with respect to the factors affecting customer satisfaction in healthcare service by various consumers (Sahoo, and Ghosh, 2016). 1. Aliman, N.K., and Mohamad, W.N., 2016. Linking service quality, patients’ satisfaction, and behavioral intentions: an investigation of private healthcare in Malaysia. Procedia-Social and Behavioral Sciences, 224(2), pp.141-148. 2. Almajali, D.A., Masa'deh, R.E. and Tarhini, A., 2016. Antecedents of ERP systems implementation success: a study on Jordanian healthcare sector. Journal of Enterprise Information Management, 29(4), pp.549-565. 3. de Oña, J., de Oña, R., Eboli, L., Forciniti, C. and Mazzulla, G., 2016. Transit passengers’ behavioral intentions: the influence of service quality and customer satisfaction. Transportmetrica A: Transport Science, 12(5), pp.385-412. 4. Kitapci, O., Akdogan, C. and Dortyol, I.T., 2014. The impact of service quality dimensions on patient satisfaction, repurchase intentions and word-of-mouth communication in the public healthcare industry. Procedia-Social and Behavioral Sciences, 148 (3), pp.161-169. 5. Kondasani, R.K.R., and Panda, R.K., 2015. Customer perceived service quality, satisfaction, and loyalty in Indian private healthcare. International Journal of Health Care Quality Assurance, 28(5), pp.452-467. 6. Mosadeghrad, A.M., 2014. Factors influencing health care service quality. International journal of health policy and management, 3(2), p.77. 7. Sahoo, D. and Ghosh, T., 2016. Healthscape role towards customer satisfaction in private healthcare. International journal of health care quality assurance, 29(6), pp.600-613. 8. Zailani, S., Ali, S.M., Iranmanesh, M., Moghavvemi, S. and Musa, G., 2016. Predicting Muslim medical tourists' satisfaction with Malaysian Islamic friendly hospitals. Tourism Management, 57(1), pp.159-167.